If you have been trying to lose weight and failing in the battle, you may think that you are at the end of the line and that there is no way that you can drop the weight. Those who have truly given their best and changed their lifestyle to incorporate more exercise and healthy foods will often be able to lose the weight on their own, although it is going to take longer. Others may think that no matter what they try, the weight just isn't coming off. If that is the case, you can talk with a doctor about the possibility of weight loss surgery. Many people have success with this type of surgery, but you need to consider the pros and cons. Surgical procedures for weight loss, such as the gastric bypass detailed later, are invasive to the body, and they carry the same risks that any surgery would. There is a risk of infection, a risk of the procedure not going properly and a risk of death. In some severe cases, those who have had the surgery have trouble getting the nutrition they need. Others have stomach problems and pains that are severe. Of course, the main benefit of a surgery such as this is the rapid weight loss that you can achieve. You can lose up to 30 or more pounds the first month after surgery, and more in the succeeding months. Gastric bypass surgery is one of the most common forms of weight loss surgery today. With this type of surgery, the doctors use a variety of devices and surgical techniques to bypass a portion of the stomach. This reduces the amount of food that the stomach is going to be able to process at a given time, and results in weight loss. An intra-gastric balloon is another option that some people are choosing. With this, a doctor inserts the balloon into the stomach and inflates it so that the patient has a full feeling. These balloons, while successful in many cases, are only useable for about 6 months. After that, there is a change of bursting and leaking. Another surgery option that some people choose is one that removes the subcutaneous fat. Known as liposuction, this is a popular procedure in the plastic surgery field. However, the weight loss with this procedure is merely cosmetic. It doesn't offer the same benefits that true weight loss does. The amount of fat actually removed from the body is quite small, and it does not offer any significant weight loss. This is more of a sculpting option than a way to lose weight. 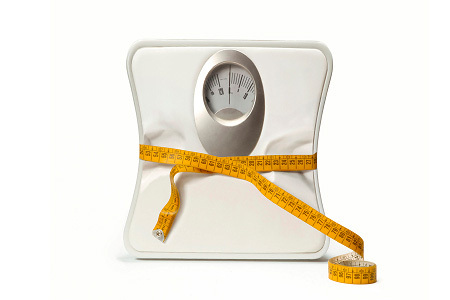 The above are a few of the most popular surgeries that people tend to use for weight loss. Others are available, but all of them contain some type of risk. Only choose surgery for your weight loss if you have exhausted every other possible means. Losing weight slowly through proper diet and exercise is always going to be the best option. Try that first, and then talk with your doctor about surgical options.